As technology evolves, it often raises as many questions as it provides advantages. With the fast pace of technology and the already existing idiosyncrasies of our industry, customers are often unsure which techniques and processes can be used in their projects, and the best way to prepare them. Our staff is always prepared to assist you, or to answer your questions. 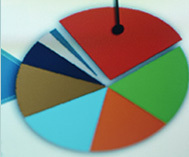 Printing and digital graphics, like all industries uses many different and unique processes. We in the trade have created our own language and buzz words. Our staff is trained to speak printing and digital graphic in everyday terms, and they will gratefully translate printing terms and phrases to English.